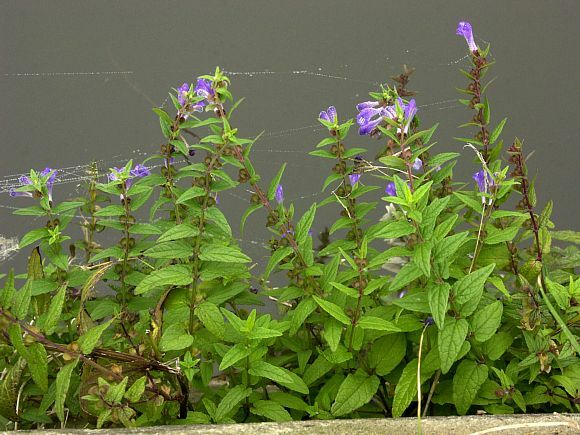 Loves growing right at water-level over the coping stones of canals and is best seen from a narrow boat. 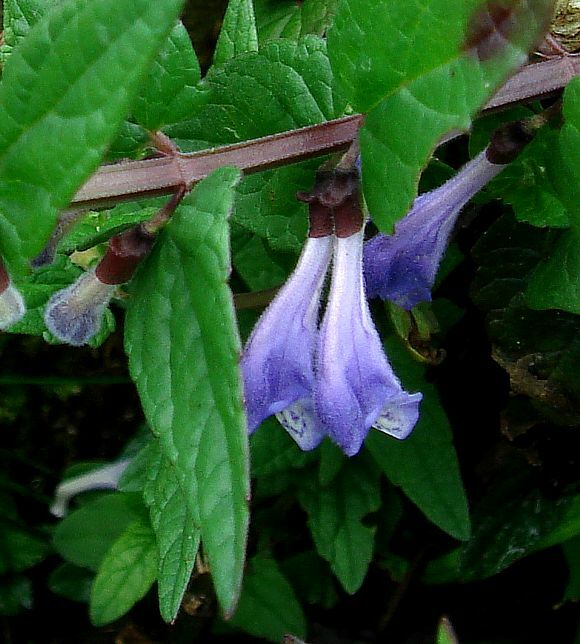 Sprawls somewhat as it grows up to 50cm in length. Lower down the stems branch. Flowers in parallel pairs on the same side up the stem Pairs of opposite leaves are on alternate sides of the square stem. 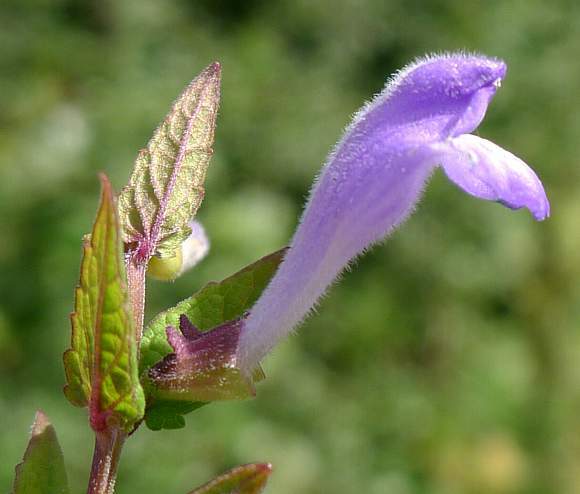 Flowers take on a shallow S-curve like the horn of a tuba. Leaves have reddish veins. Leaves in opposite pairs on a square stem, alternately at right-angles. Stem ridged on corners in places. Leaves lanceolate either stalkless or on short stalks and only vaguely toothed, or not at all. 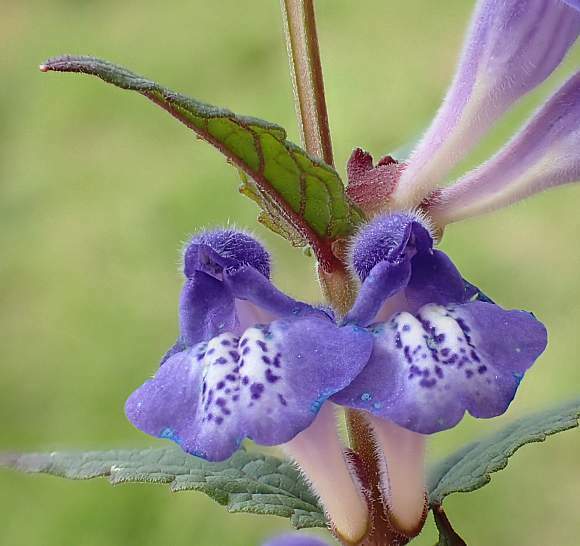 The opened sepals have a upright flap on the upper surface. 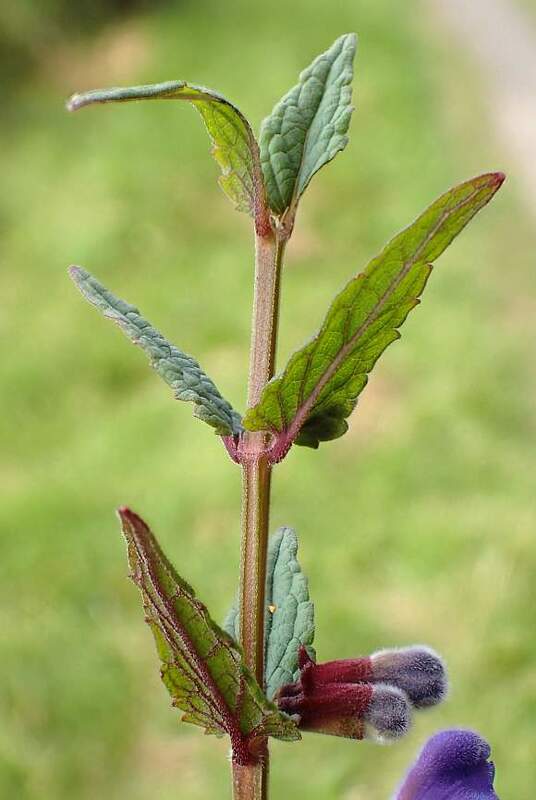 Stems reddish-brown and square with slight ribs on the edges. Flower in two lips; an upper hood and a longer and curved over lower lip. Flower strongly curved upwards out of the sepal tube/calyx. 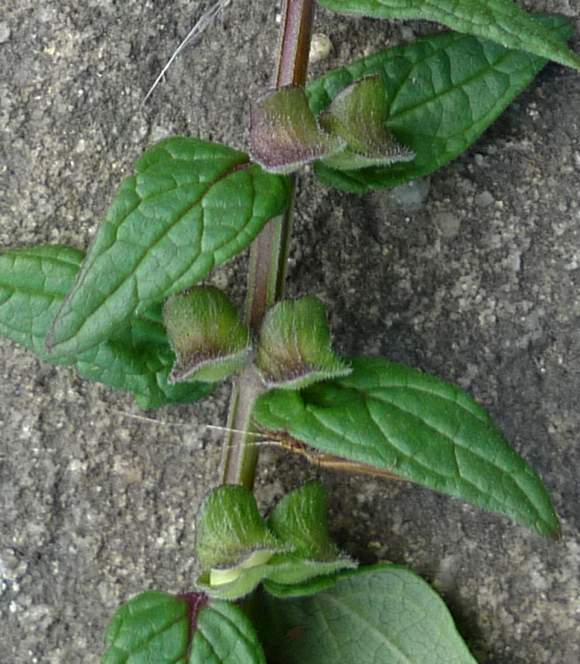 Stems, leaves and flowers slightly hairy. The lower lip has a whitish central area with mauve spots. 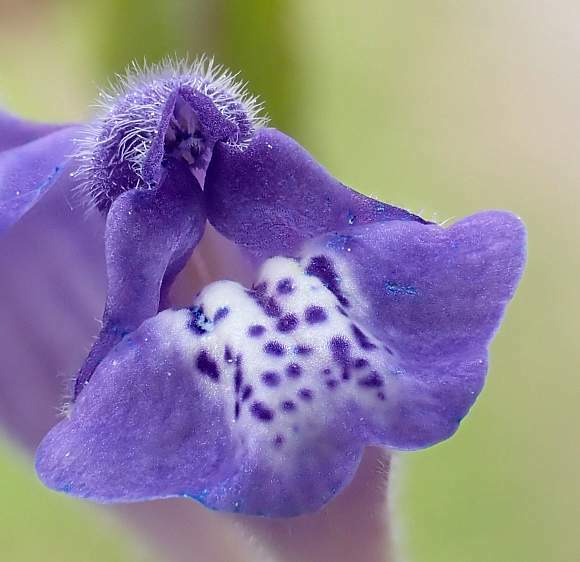 Blueness appears in various places on the flower. View from below of the sexual organs tucked away in the upper lip. Flower 10-20mm long. Looped spots on lower lip reminiscent of those on some orchids, such as Common Spotted-Orchid, but no UK orchid is this shade of blue. Lip only vaguely lobed. 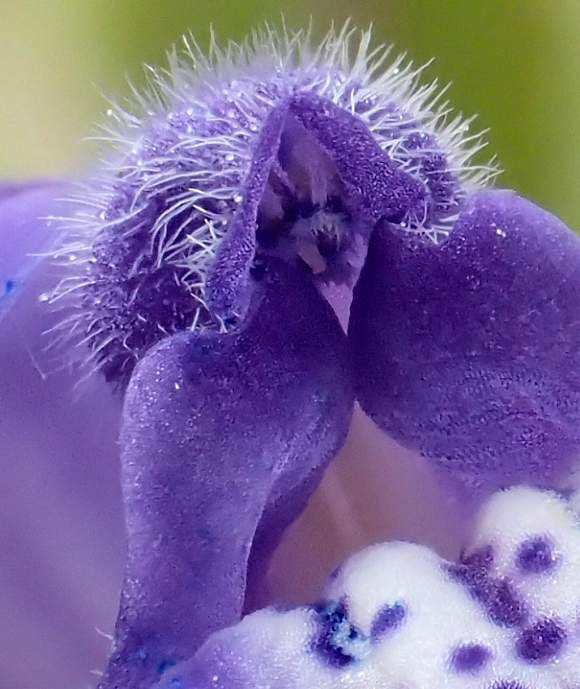 The sexual organs are deep within the hairy 'snout'. Inside somewhere are 4 stamens and a single stigma. The fruits look like Donald Duck wearing a policemans helmet. It is only in 2 parts/lips. 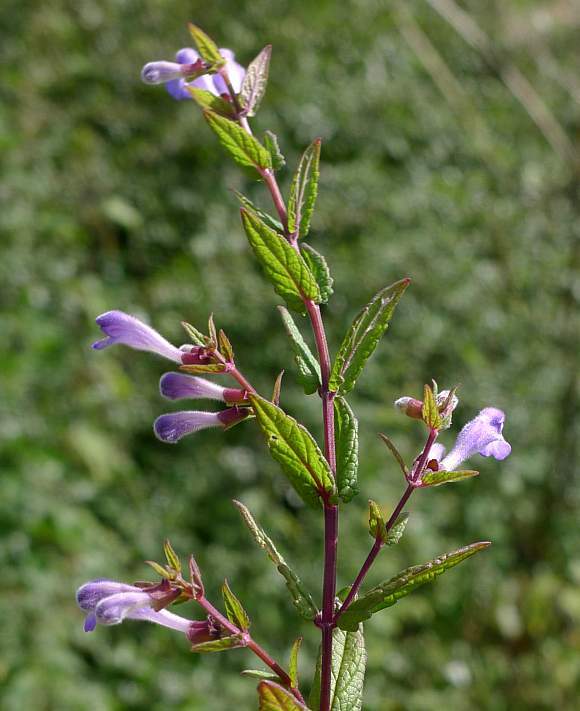 Hybridizes with : Lesser Skullcap (Scutellaria minor) to produce Scutellaria × hybrida , which now only grows just south of London and near Portsmouth. 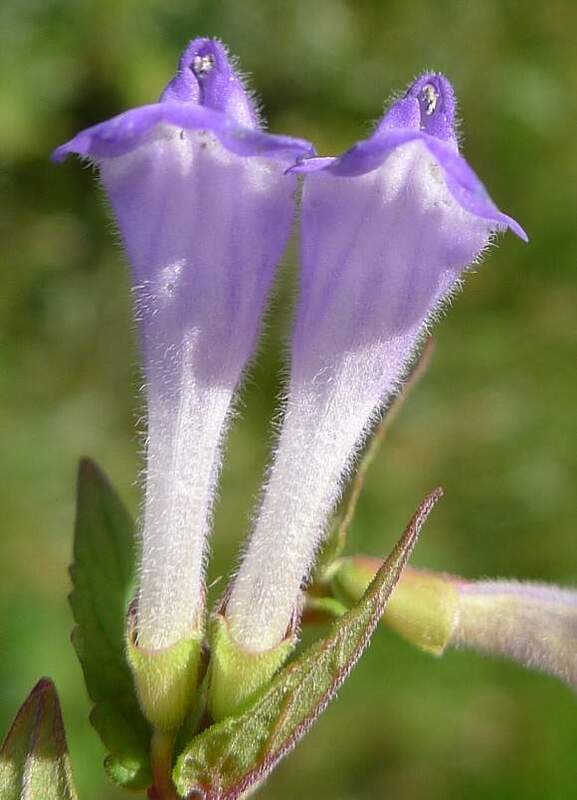 Distinguishing Feature : The twinned bluishish flowers sitting just above a pair of opposite leaves on a square stem, both flowers pointing in the same direction. 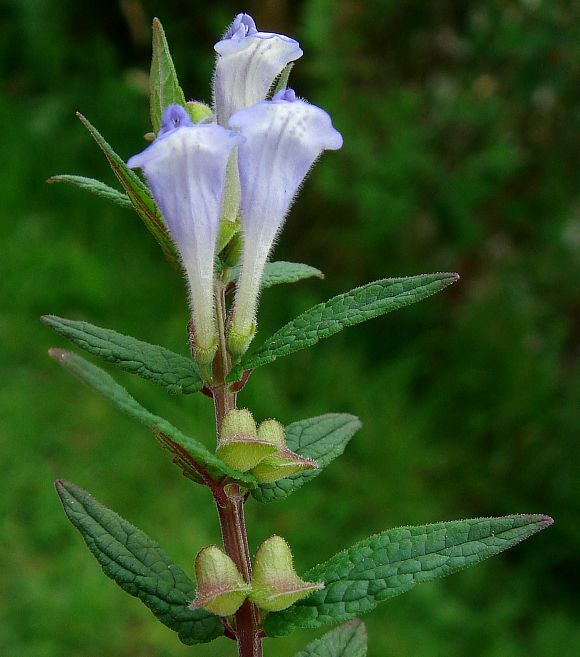 Very similar to: Lesser Skullcap, but that is half the height with pinkish-lilac rather than sky blueish flowers. 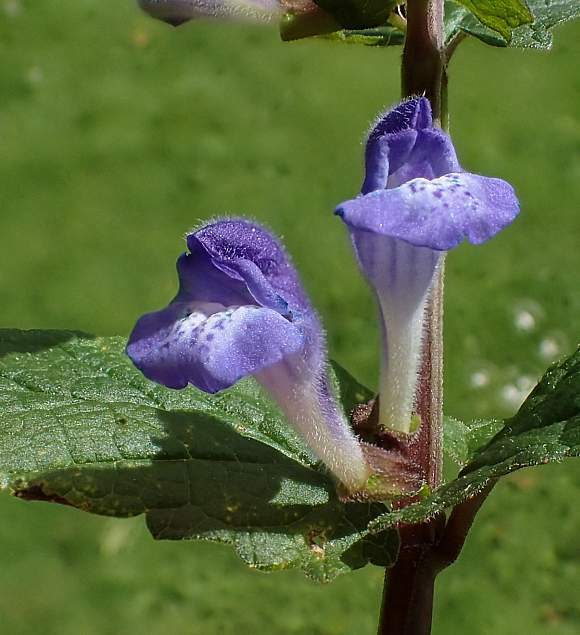 The flowers are also about half the size. 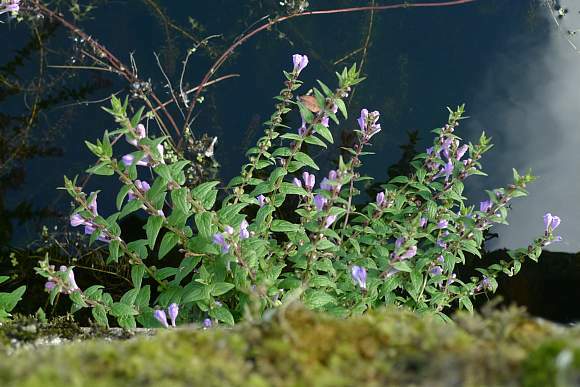 Skullcap grows on the edges of canals, or by fresh water. 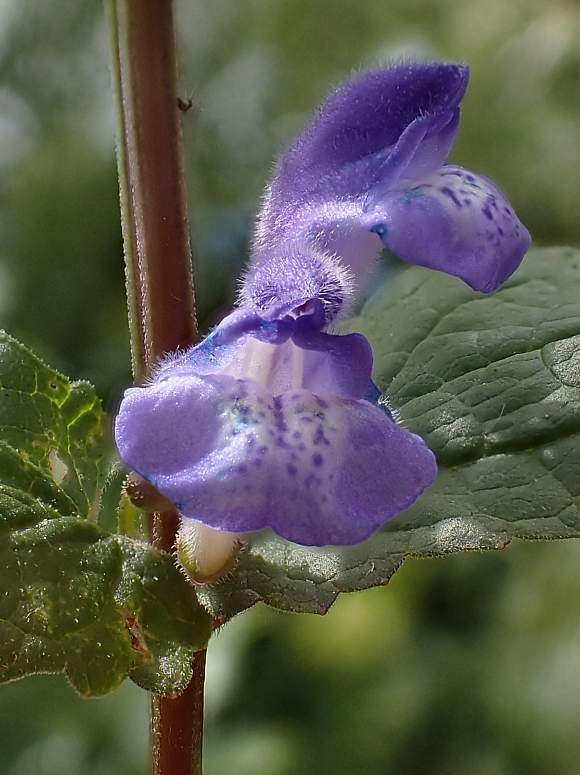 Like Lesser Skullcap (Scutellaria minor) it also likes wet grassy places. 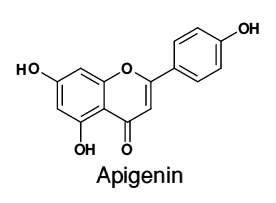 Apigenin is a flavone which is responsible for the cancer prevention characteristics of several vegetables and fruits. It puts mammalian cells into autophagia, a kind of protective dormancy. Apigenin is a potent inhibitor of an enzyme responsible for the metabolization of many pharmaceutical drugs within the human body, so should be regarded with care. It also induces resistance against chemotherapy. 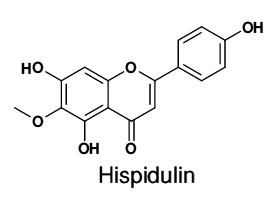 Hispidulin is another flavone, this one can traverse the blood-brain barrier and has anti-convulsive effects. It is a moderator of central nervous system activity. 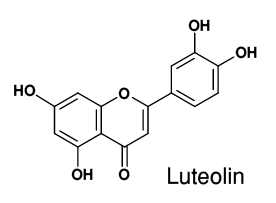 Luteolin, another flavone, is a free-radical scavenger and is thought to play a role as an anti-oxidant when in the human body where it moderates the immune system. It is most often found in the leaves of plants, but is also found in Celery , Dandelion, Thyme , Sage, Rosemary, Peppermint , Oregano and Carrots . Skullcaps are well known for their rich variety and abundance of flavonoids, to which are ascribed most of their medicinal properties. 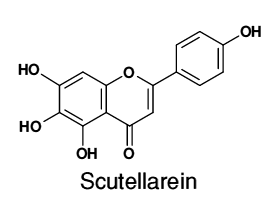 The flavonoids include Apigenin, Hispidulin, Luteolin, Scutellarein and its glycoside Scutellarin (being Scutellarein-7-glucuronide). The first four are flavones. 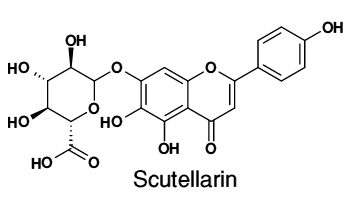 Scutellarin can be decomposed into Scutellarein on hydrolysis. 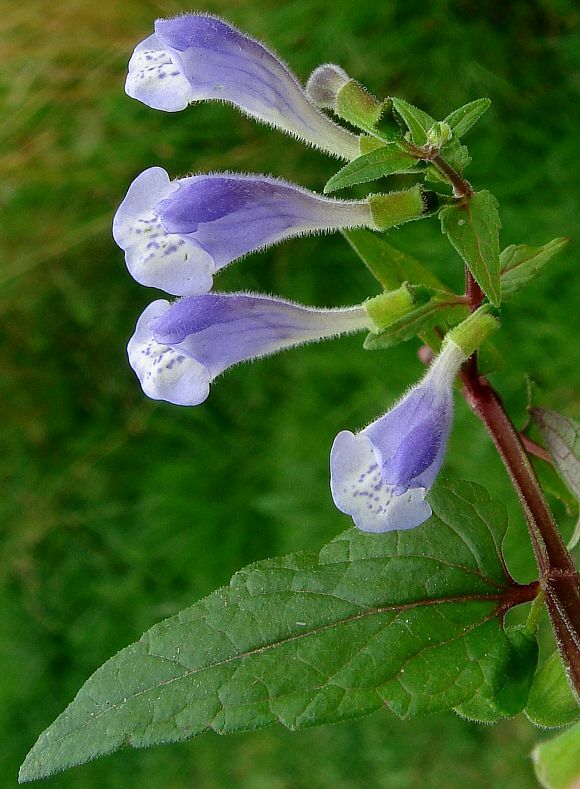 Like Lesser Skullcap, it smells faintly aromatic. 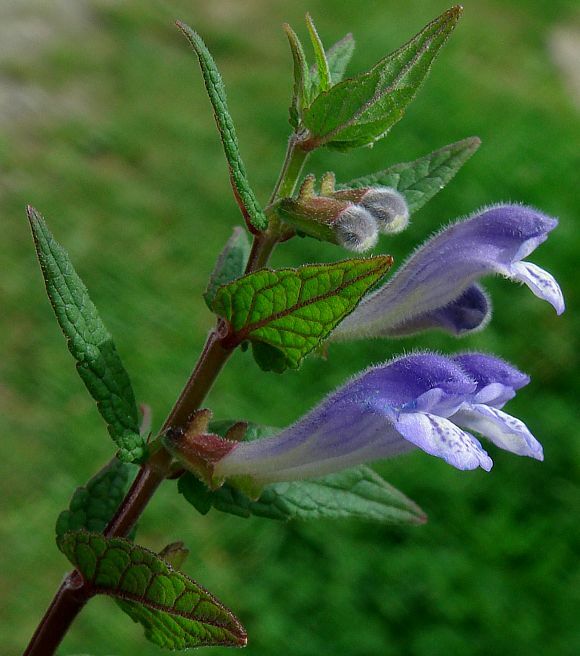 Skullcap also contains the iridoid glycoside Catalpol.